Why is a business plan an important first step in salon or spa development? - Spa Advisors, Inc. Inadequate cash reserves.You need at least a six-month cash reserve as a cushion to carry you through until you start making money. Failure to clearly define and understandyour market, your customers, and your customers’ buying habits. Failure to price your products or services correctly.The SBA says you can be the cheapest or the best, but if you try to be both, you will fail. Failure to anticipate cash flow adequately.Some suppliers require immediate payment when dealing with new businesses, which can quickly deplete your cash reserves. Add in the months-long wait for reimbursement for anything sold on credit, and you could be seriously cash-strapped. Failure to anticipate or react to competition, technology or other changes in the marketplace.When you are busy, it is easy to look the other way while things around you are changing. However, just imagine trying to cater to a young, trendy crowd in a community where the population is aging. It will not be long before you find yourself in trouble. Believing you can do everything yourself.The SBA says one of the biggest challenges entrepreneurs face is being able to loosen their hands on the reins and start delegating to trusted employees. You cannot do it all yourself—you must rely on those who have proven they can handle responsibility and make things happen, and then trust their judgment. 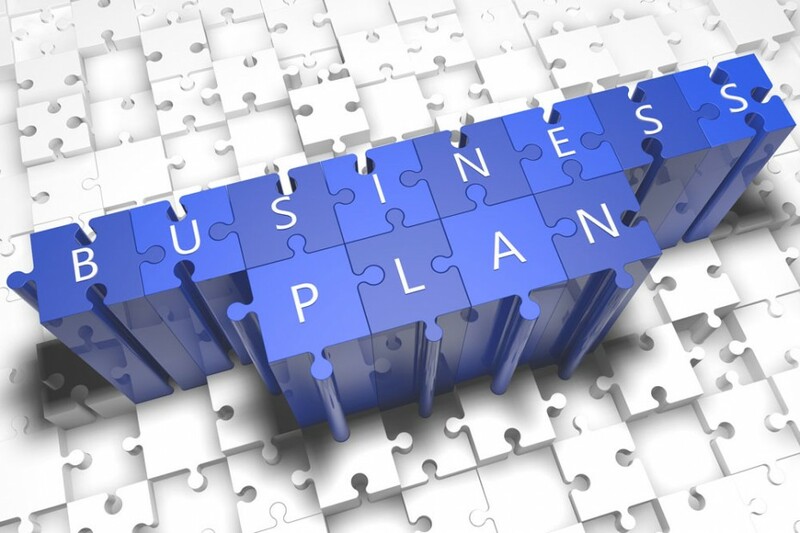 Business Plan templates usually are not specific to this industry, nor do they provide an effective way to project revenues. We use our own specially designed template, customized for the beauty industry. We have an in depth understanding of revenues within a facility, how they are generated and more. The business plans we develop serve as your operating budget, estimate every conceivable expense item, and allocate funds accordingly. No matter where you look, you will find hair salons, nail salons, day spas, and at times, resort or destination spas in or around the area of choice. Can you compete? Is the market over-saturated? Is your concept unique, marketable, and enticing enough to move a client from their current salon or spa to yours? How will you get the word out about your facility? How will you get technicians to want to work for you? How will you make your employees understand the importance of guest service? What should you look for in lease negotiations? How much cash will you need for your first year or two? So many questions are in need of answers during this process. Let us simplify the process and develop the working tool you need. Although there are no guarantees for success, fewer surprises and more information make the process a bit less daunting. Knowing your customer and being able to identify them is important. Also, are there enough of them to keep your revenue streams where they need to be. Are you in a seasonal area? How much do tourists affect your business? If you “Google” Spa Treatment Tables”, hundreds of pages are revealed. They can range in price from $100 to well over $7500. What ones do you need? Who are the best equipment manufacturers? What functionality do you need based on the services you will provide and the types of technicians? Warranties? What does your architect need to know about your choice? This is just one minute set of questions to be poised for each area within your facility. Understanding how to first budget for the expense, and select the items later, works best. Let us help you outline and detail every space within your facility. Developing a service menu can be overwhelming. There are number of ways to do it, but how can assure you have thought of everything? Did you do the math? Do you understand how Pareto’s Principle works and how it will affect your menu planning? What services will drive your business and entice clients? What product lines should I select? Why? Look at our article titled “Writing an Effective Spa Menu” for additional information. During the budgeting and business plan phase, you likely do not have a floor plan, nor do you have a detailed list of finishes, flooring, lighting, electrical, HVAC, plumbing, millwork expenses and so on. Estimating costs is likely the only way to begin. So much depends on the condition of the space along with the vision of the architect and designer. Designing a new space is likely the most enjoyable part of process for the business owner as it is their place to imprint their tastes and likes. Make sure your architect, designer and spa consultants are clear on your vision and, that you have budgeted adequate funds to bring your vision to fruition. It is easy to underestimate expenses here and, finishes are often the areas cut when a project goes over budget. One of the most important pieces of new facility development relates to marketing. What should you do? How much should you spend? When should you begin? It initial phase of this is outlined in your business plan. Print versus electronic media versus social media-which is best? There are many questions to ask and answer. A one-year pan from two months before opening out to your one-year anniversary must be prepared and evaluated as each week progresses. How do I touch my community? What organizations are important here, should I join and what can I do through them to get the word out? Community mailing lists-are they beneficial. What charitable events can we become part of in the community? There is no substitution for good planning and tracking. Was the event successful? How much revenue did it generate in relation to what it cost? A good business plan paints a realistic picture of what a project will cost. Can you do it cheaper? Maybe. Should you? That is up to you. Do not be delusional thinking you are going to open a 5000 square foot facility with locker rooms, and exquisitely designed for $50 per square foot. Many getting into this business do not realize how much it costs just for the buildout and finishes. A project will likely cost between $125 PSF to well over $300 PSF depending on the condition of the space, finishes, equipment, pre-opening expenses, training and more. Having a good idea of what it will cost and how long it will take to recoup your investment should be one of the goals of your business plan. Having someone else assist with your business plan could be one of the best investments you will make. This step is so important. Let someone with experience in the industry assist with this process. What would take you months to do can be done in a short time and, answer most of your questions. This important step is the precursor to your success. Do not leave it to chance or guess.